Much has been written over recent months about the length of Alan Moore‘s Jerusalem – largely because for a long time, that was pretty much all anyone knew about it. At almost 1,200 pages, the decade-in-the-making novel is certainly an intimidatingly long book from a reader’s perspective. But as it turns out, its length is probably the least interesting thing about it. “What’s it about?” is usually one of the first questions that anyone asks about a novel, and I’m going to give the evasive answer of saying not only that Jerusalem is ‘about’ everything (more or less), but that what it’s ‘about’ is not really where the appeal of the book lies. If anything, it’s more in the philosophies that the novel applies to its wildly varying subject matter, and even more in how it entertains the reader in the telling of its massive, sprawling story. While Jerusalem is certainly a novel that’s epic in scope – effectively spanning the entirety of human existence, and beyond – it’s resolutely intimate in scale, telling its long and complex story from the largely grounded viewpoints of a host of characters, all of whom are somehow linked to a specific location, and many of whom share close connections to a single bloodline. In fact, in Jerusalem’s early stages, you could be forgiven for mistaking the book for a collection of short stories rather than a conventionally coherent novel. With each chapter telling the story of a different character – often in a very different era to the chapter before, sometimes in a different location, and always in a different voice – it’s initially difficult to perceive the connections between the various vignettes that Moore lays out, and to see how the book’s many narrative threads tie together. Even when things settle into a slightly more straightforward progression in Book Two (the novel is divided into three separate and distinct Books), it isn’t always easy to maintain a grasp of how the various elements of the story hang together – especially when our viewpoint keeps switching and our understanding of the novel keeps evolving. But like a camera slowly zooming out from a specific central point to a much, much wider perspective, its a pleasure to see Moore’s bigger picture gradually come into focus. All of which would mean little if the book wasn’t enjoyable to read from page to page. 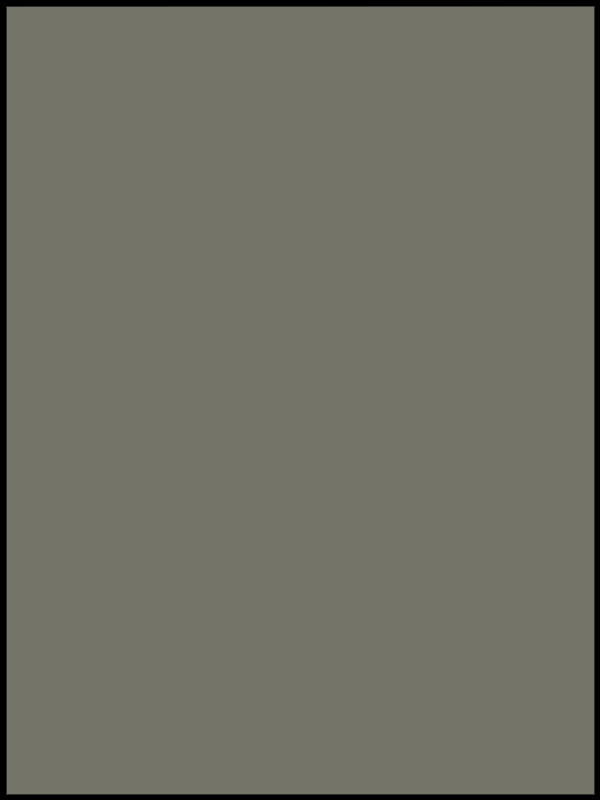 After all, a novel of this length represents a huge investment of time and attention for its audience, and if the prose wasn’t entertaining in its own right, then all of the structural ingenuity in the world wouldn’t be able to prevent the reading experience from feeling like drudgery. Thankfully, each chapter is highly engaging, with Moore’s eye for character detail and his love of language shining through – as well as his inimitable, dry-but-playful sense of humour. It’s an element of Moore’s writing that I think is often overlooked, but which is on regular display here, and to great effect. As well as the richness of Moore’s language (every page seems to offer some clever new twist on a well-known expression, or an unexpected pun that somehow makes for a perfect double-meaning) and his well-observed take on the everyday details of human life, the book is dense with literary, cultural and historical allusions. Not in a distracting or ostentatious way, but in an inspiring way, a way that makes you want to go out and learn more about whatever subjects Moore has chosen to cast a light on in his latest chapter. Jerusalem is undoubtedly a smart book – but even better than that, it’s a book that makes you want to become smarter yourself. One of Moore’s other great gifts is his vivid visual imagination, which is surely part of what has helped him to become such an undisputed master in the field of comics. And indeed, fans of his comics work will see some of his ideas from that medium echoed in some of the pages of this book, whether it’s the ‘everything’s connected’ approach to society adopted by Big Numbers or the outsider’s perspective of linear time that’s most famously espoused in Watchmen. Even more interestingly, we see the very framework of the comics page intermittently incorporated into the world of the book: more than once, mechanisms through which different areas of time and space can be viewed simultaneously are described in ways that evoke the frames of a comic book. Moore also throws in occasional explicit allusions to the world of comics – both real comics and imagined – and even the odd musing on the comics industry itself. If I have any real criticism of the book, it’s only a minor one, and it’s that it occasionally feels like there’s too much in the way of repeated information between chapters, with certain sections recapping or explaining ideas or information of which we’ve already been made aware earlier in the book. Even then, however, the novel’s varying viewpoints mean that you’ll never be getting the same perspective on the same idea twice – and it’s perhaps for this reason that Moore chooses to pick up and re-examine some sections of the story multiple times. You may have noticed that I’ve avoided saying too much about the exact nature of the story, its characters, or even the themes and ideas that it deals with. That’s because Jerusalem is a book that benefits from knowing very little about it before going in. It’s a novel that is difficult to categorise or even summarise, reflecting Moore’s famous assertion that life doesn’t confine itself to a single easily-pigeonholed genre. And like the genres of our existence, the book straddles many different types of reading experience, both in form and subject matter. By turn adopting the conventions of historical novel, fantasy, horror or kitchen-sink drama, Jerusalem frequently stretches itself even further, covering forms as diverse as Joycean pastiche, hard-boiled noir parody, economics lecture, existentialist theatre, veiled autobiography, even arch self-referential literary analysis. Luckily, it isn’t for us to worry how the people at Waterstones are going to decide which shelf to put Jerusalem on – we can simply enjoy the experience of seeing a master of words somehow weave all of this into a coherent single piece of work. It’s a task that Moore clearly relishes, and (as silly as it may sound to say it of a book of this length) it’s the kind of inspiring and unpredictable reading experience that will always leave you wanting more. I’m aware of the absurdity inherent in trying to summarise my response to a highly intricate and dense 1,200-page novel in the space of a brisk 1,200-word review, but hopefully this reaction at least gives you a flavour of the book, and assures you that it’s well worth your time. I wouldn’t hesitate to refer to it as a true high point of Moore’s achievements as a writer (albeit one that requires a certain amount of engagement and effort on the part of the reader) and I’m confident that anyone who has enjoyed his work in other media will thoroughly enjoy it. 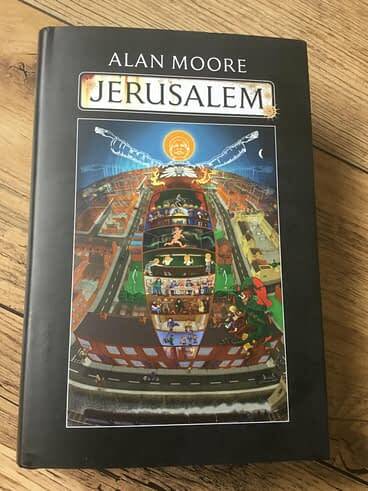 Jerusalem by Alan Moore is published tomorrow in the UK by Knockabout and in the US by Liveright.